Endgame typing performance - but at what cost? I know us lot here at PCGamesN have been raving about mechanical switches like there’s nothing better, and we do stick by that thesis for the most part. But I have a confession to make: mechanical is no longer my first love, at least not for typing. That honour now goes to the Topre switch: a glorified rubber dome. Just hear me out. The Topre switch isn’t a traditional membrane design. Rather, each individual capacitive switch consists of a rubber dome over a coiled spring that makes contact with a PCB. As a result, all of that inconsistent squishiness from a membrane board is gone, replaced by an actuation like no other on the market. Made only in Japan by the Topre Corporation, these keyboards can often be expensive or tough to find elsewhere in the world. But those days might be over. Now that Fujitsu has become the officially licensed distributor for Realforce in the US, visibility and availability are up, and I’ve managed to get my hands on the Realforce R2-US5-BK 55g model for gratuitous testing. 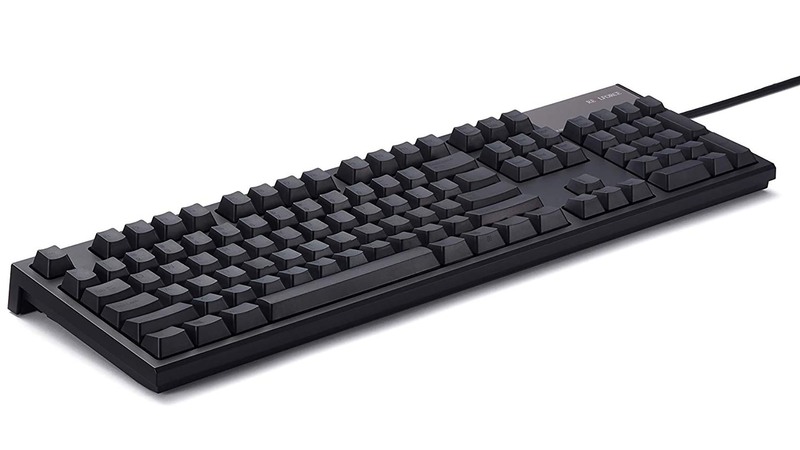 The Realforce R2 features a minimal, suave, professional aesthetic, borrowing somewhat from the Realforce RGB released previously. It’s not without enthusiast flare, either, featuring black PBT keycaps, black key labels, and an overall slight yet stylised design. And while the Realforce may look like a business saloon from the exterior, it’s packing a twin-turbo V8 under the hood. Or the key switch equivalent, at least. That’s just as cool, right? There are a couple of key benefits to this capacitive Topre design. First up, there’s no chatter. While mechanical switches need to induce de-bouncing to prevent the mechanical contacts within each individual switch from registering multiple times, the Topre switch bypasses this particular issue with its unique design. The Topre patent (via Deskthority) says that’s achieved thanks to the fact that “constant hysteresis can be obtained without changing the operation characteristics even if an operation value is arbitrarily set, thereby properly preventing chattering”. If you know what that means, good for you. Either way, it makes for an innately chatter-free switch. The Topre switch is also much quieter than many of its mechanical counterparts – a saving grace for bleary-eyed youts playing long into the dark hours. Plenty of common mechanical switches operate at a few decibels higher than you might want late at night. Thankfully, the Topre switch is here to save the day, operating with a dampened thud rather than a loud clack. But just how good is the Topre switch for gaming? I know I’ve been talking it up as the greatest typing switch to grace god’s green earth – truly endgame stuff right here – but that doesn’t necessarily make it a good fit for gamers. And while it’s not quite gaming nirvana, there should definitely be a place in gamers’ hearts for the Topre switch. It cannot boast the swiftest actuation on the block, and at 55g it is a little heavier than most, but its smooth action and ergonomic step sculpture design manages to stave off fatigue over long gaming sessions. But while gaming may fall a little beyond the Realforce’s wheelhouse, it still offers impressive all-round performance. Yet its price tag is entirely prohibitive. 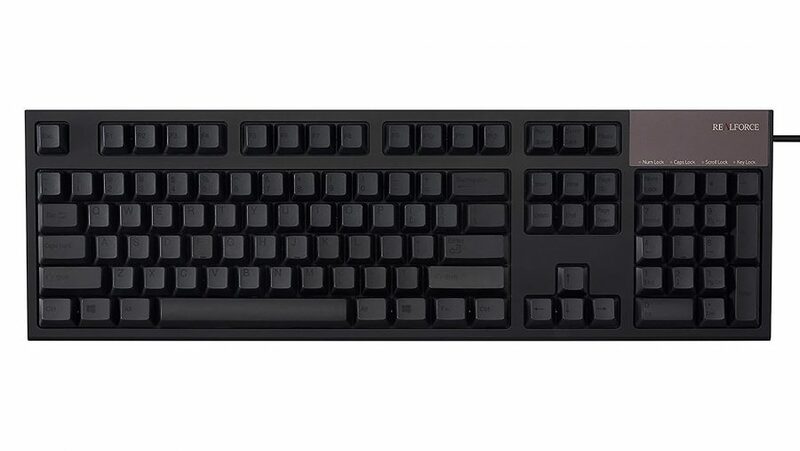 At $258, the Realforce R2 with uniform 55g key switches is one of the most expensive boards I’ve ever reviewed. In that respect, it truly is endgame. 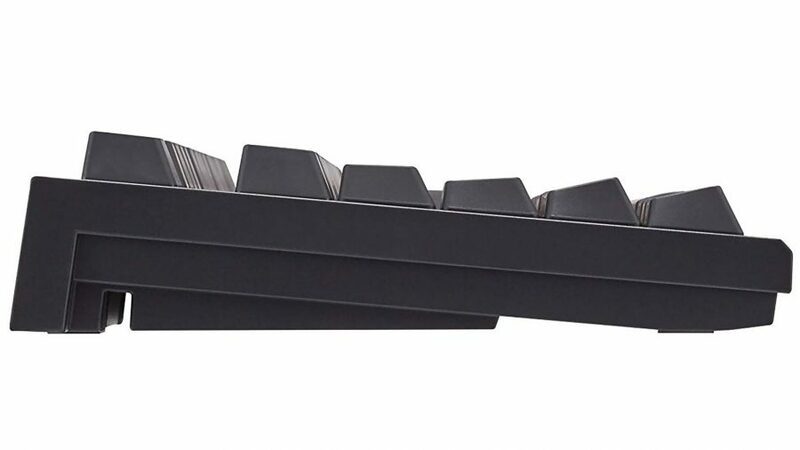 You’ll almost certainly never want to spend money on another keyboard ever again. The Topre switch may be what memes are made of, and ludicrously pricey, too. But if you want a board that may outlive you, shuns the gamer aesthetic, and features some of the smoothest switches going, I’m here to tell you there’s little better than embracing the meme and grabbing yourself the Realforce. But endgame comes at a cost. If it's the keyboard endgame you're after, you'll find it with the Realforce R2 - just be prepared to drop a significant sum on getting there.